20 minute drive to Arrecife airport. 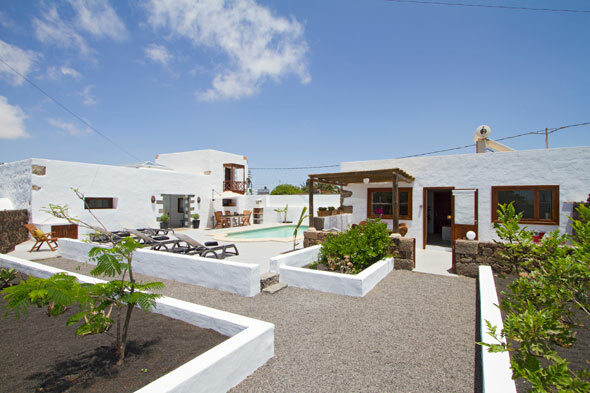 Tiagua 81 is a collection of self-catering accomodation located in the rural village of Tiagua, Lanzarote. 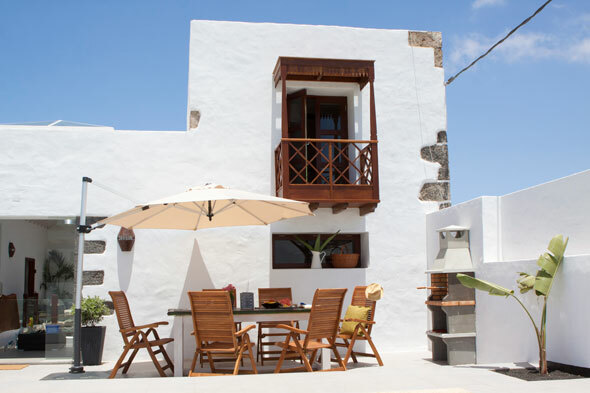 The main house dates back 200 years and comprises of 4 individual self-catering studio apartments which each sleep 2 persons, self-contained and well equipped alongside a relaxed communual interior courtyard. El Aljibe, the old stone water reservoir of the main house has been retained to provide a reading room for guests to relax. 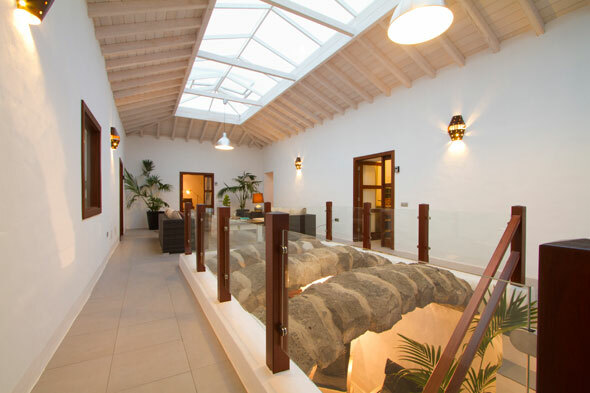 Outside is the walled garden and swimming pool with communual BBQ and dining area. 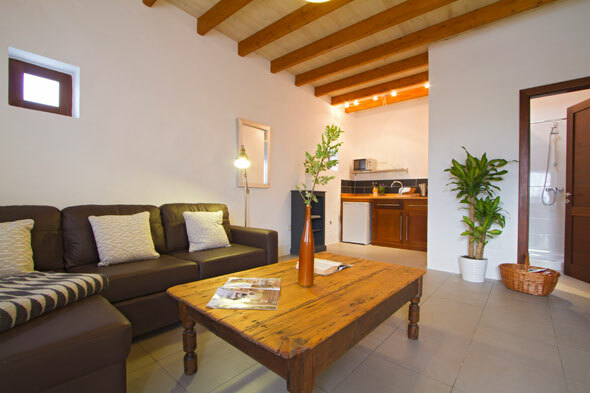 In the grounds is also a detached cottage which sleeps 2-4 persons. The village of Tiagua has a fantastic local supermarket so you can stock up on essentials and there’s an excellent traditional Canarian restaurant, El Tenique, specialising in grilled meats and fish. The restaurant is a short walk from Tiagua 81 so you can head back home easily. Tiagua 81 has been designed with sports people in mind and is ideal for those requiring a base for walking, Tri-athlon training, road cycling, mountain biking, running, swimming, surfing. Studio apartment. Sleeps 2 persons with kitchen, sitting area, dining table, bedroom with optional twin or double bed and en-suite shower room. One Bedroom apartment. Sleeps 2 persons with kitchen, sitting area, dining table, separate bedroom with optional twin or double bed and en-suite shower room. Two storey one bedroom apartment. Sleeps 2 persons. Downstairs Kitchen and Living room with TV & DVD player. 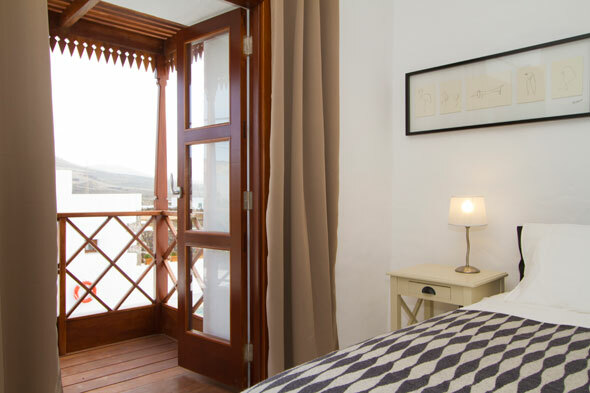 Upstairs spacious mezzanine bedroom with a traditonal Canarian style balcony with pool-side and panoramic view with en-suite shower room. 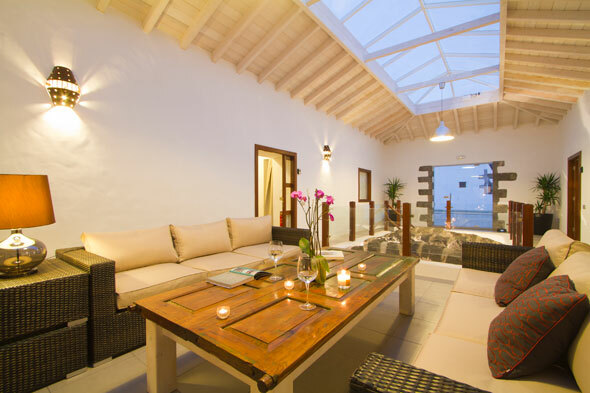 Independent self contained and self-catering cottage within the grounds of Tiagua 81. Capacity 2-4 people. 2 bedroom, 2 bathrooms. Four poster bed and twin bedroom. Living-room with well equipped kitchen and separate dining room. Private terrace with private BBQ. Access to communual swimming pool. WIfi. TV with DVD player. Children welcome. All Apartments have access to the communual seating areas, El Aljibe reading room, swimming pool, BBQ , dining areas.